CFIUS (pronounced SIF-eus) is one of the more obscure corners of the U.S. national security apparatus. CFIUS stands for the Committee on Foreign Investment in the United States. Even most Washington insiders have never heard of it. When you say “CFIUS” in Washington most people ask you if there’s a cure. CFIUS is a Cabinet level working group that reports to the President. Their job by statute is to consider whether foreign acquisitions of U.S. companies pose a threat to U.S. national security. If so, the White House has the authority to block or unwind those takeovers even if they are otherwise permissible. The officials on the committee include the Secretary of the Treasury, Secretary of Defense, Secretary of State and other Cabinet officials from Commerce, Energy, Homeland Security and other key departments. CFIUS outsources the national security review to the intelligence community including the CIA and FBI. I worked on CFIUS cases for years from inside the CIA under the direction of the Director of National Intelligence, so I have a good working knowledge of how these cases are usually handled. Most transactions are routinely approved. Some pose no security threat at all. If a friendly Canadian buyer wants to purchase a Vermont ice cream company, that’s fine; no national security threat there. Even when the deals are more sensitive, there’s usually a “mitigation agreement” signed that lets the deal go through with some caveats such as the foreign owners not being allowed to have seats on the board of directors or have access to sensitive projects. But, as this article shows, CFIUS is now playing hardball with China. One of biggest conglomerates in China, HNA, has been told flat-out that they are barred from U.S. acquisitions until they provide more transparency about their owners, (which may include elements of the Peoples’ Liberation Army and the Communist Party of China). HNA has been one of the biggest buyers of U.S. target companies over the past two years. 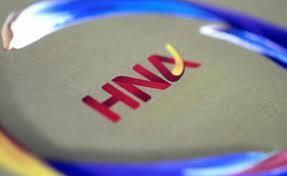 China is likely to retaliate for this black ball of HNA deals. Get ready for a nasty financial war with China involving currencies, trade, and foreign direct investment.